Need registration help? 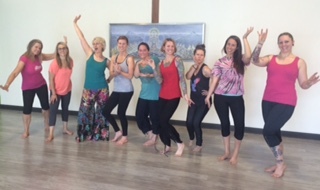 Melissa and Laura are happy to help: info@mindoverbodystudio.com. Ayurveda, the sister science of contemporary medicine, is the 5,000 year old system of natural healing from India that defines the needs of the body, mind, and spirit, and helps us to integrate those needs into a daily personal recipe for balance. Ayur means life, Veda means wisdom; Ayurveda is the medicinal science of life wisdom. From foods, colors, sounds, and fragrances, to our preferences for certain experiences, environments, and people, each of us need a certain combination of life ingredients in order to feel happy and vital. Based on the mind-body constitution each of us are born with, some of us require foods and colors that are warming along with slower paced exercise, while some of us benefit from a spicier menu, wardrobe, and a more rigorous life routine. Yes, even the colors you wear and physical activities you engage in determine your happiness--ancient medicine says so! Ayurvedic wisdom teaches us our unique personal recipe for balance and emotional health, and hands us the tools for maintaining it. Come and learn with other fantastic women why you love what you love, need what you need, which environments are toxic for you specifically, and why a day with the wisdom of Ayurveda will give you perspective in all your relationships. 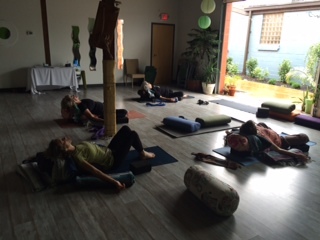 Deeply relaxing and replenishing restorative yoga. Skills to understand the mind-body constitution you were born with. Fundamental principles of Ayurveda in daily life including personal routine (particular foods, activities, environments, that naturally support your particular constitution). Ayurvedic natural remedies for stress reduction. Abhyanga, a session on self-massage with irresistible Ayurvedic oils. A deeper understanding of who you are, a deeper connection with your dharma (purpose) in the current chapter of your life, and, the tools to move into balance and deeper joy. For more information about Ayurveda and the specific skills you will learn at this retreat, click here. 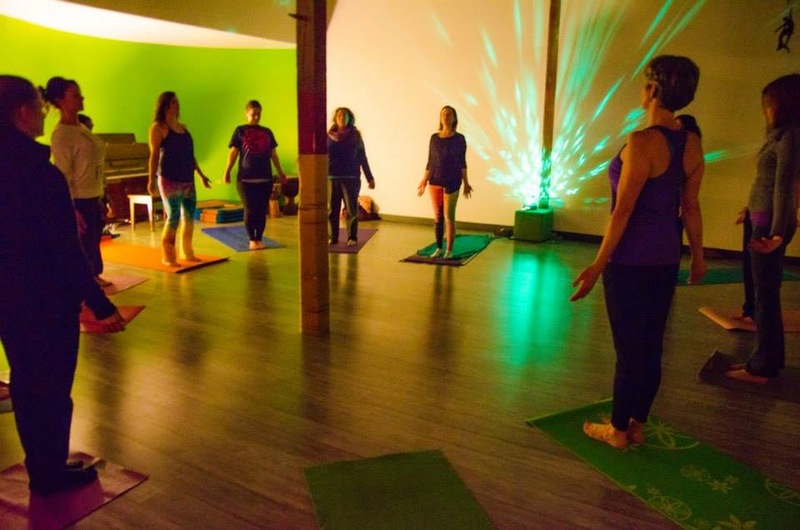 Dive in deep with local mind-body health expert Lisa Miller, MA, E-RYT, RYT 500, a yoga instructor and Chopra Center Certified Ayurveda and Meditation Instructor. Lisa is an interfaith chaplain, healer, and women's retreat specialist. She's a master at creating a sacred space in which an entire group benefits from an enveloping energy of support. In her expert care individuals are lead to uncover and connect with their own essential strengths, the natural soul qualities they were born with, while also contributing to the healing essence of the entire group. As women we speak an emotional language all our own, delving together into the fabulous wisdom of Ayurveda is a physically, emotionally, and spiritually heart-filling and profound experience. Guided by a careful facilitator, the support, emotional exploration, and laughter of the women's circle becomes a cherished experience. Lisa's goal is always to help participants move forward in their lives knowing how to integrate innate personal insights with the enduring wisdom of Ayurveda, a healing tradition that has provided a life map for us for thousands of years. 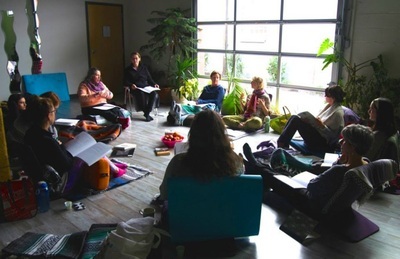 Participants leave Lisa's retreats feeling relaxed and inspired with greater perspective, usable skill, and with a deeper understanding of self. This retreat is appropriate for both beginners in yoga as well as those with more experience. "I enjoyed this retreat so much! It was relaxing, empowering, illuminating, and reassuring. Being in community with other like-minded, kind-hearted, supportive women creates such a powerful healing space and just feels so good. 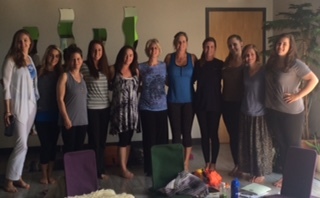 Lisa is a gifted and wonderful facilitator." ~Brittany P, Lexington. "I would recommend this retreat to every woman looking to learn more about herself and to be inspired. I was in the deepest state of conscious relaxation and can't wait to incorporate the new tools into my life. Lisa is wonderful."